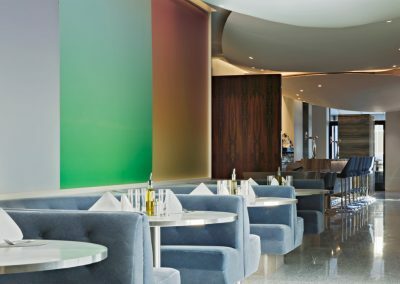 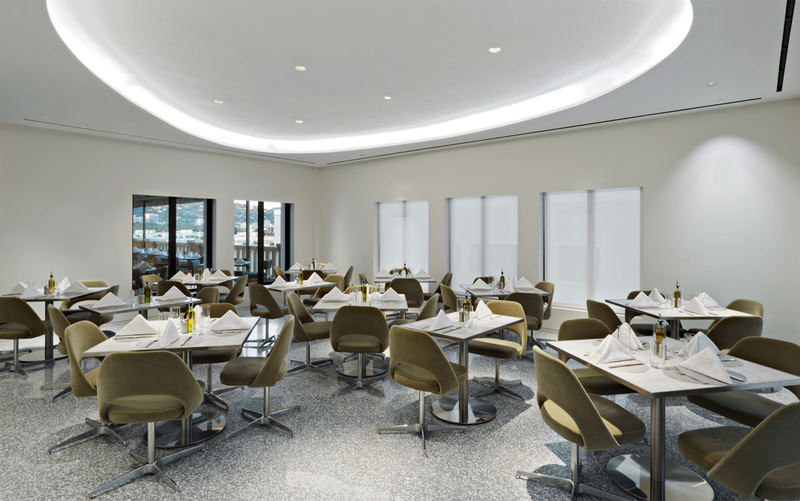 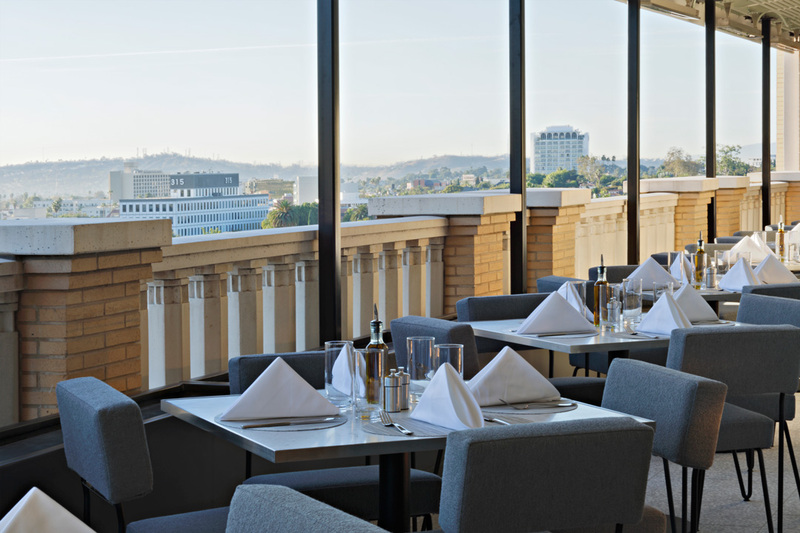 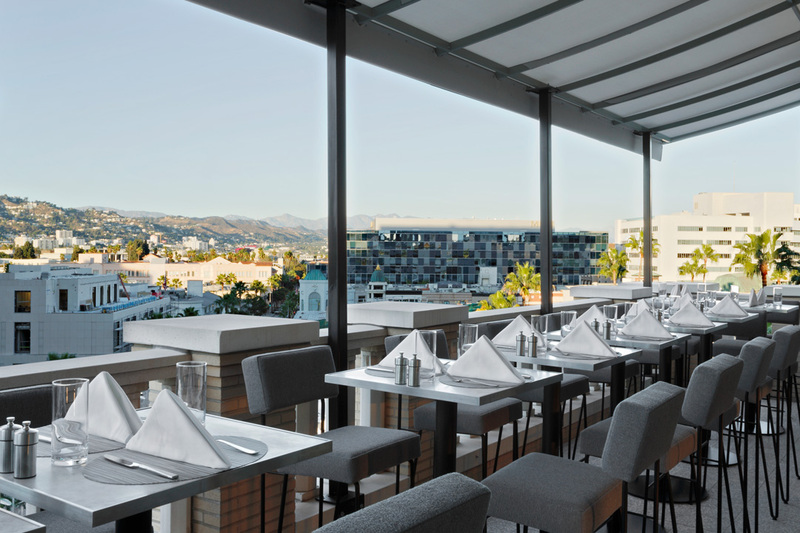 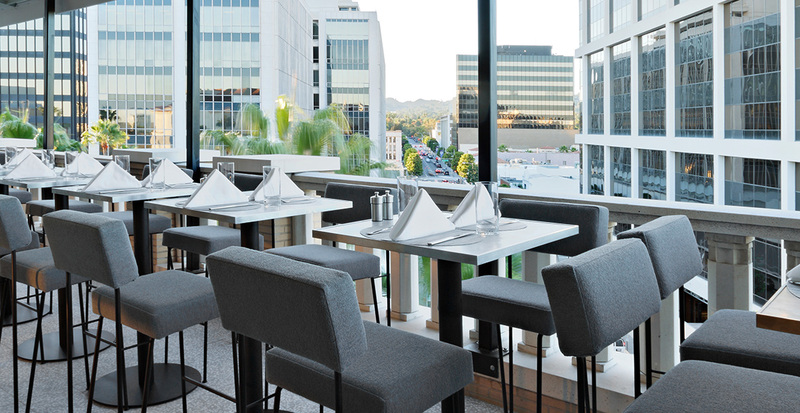 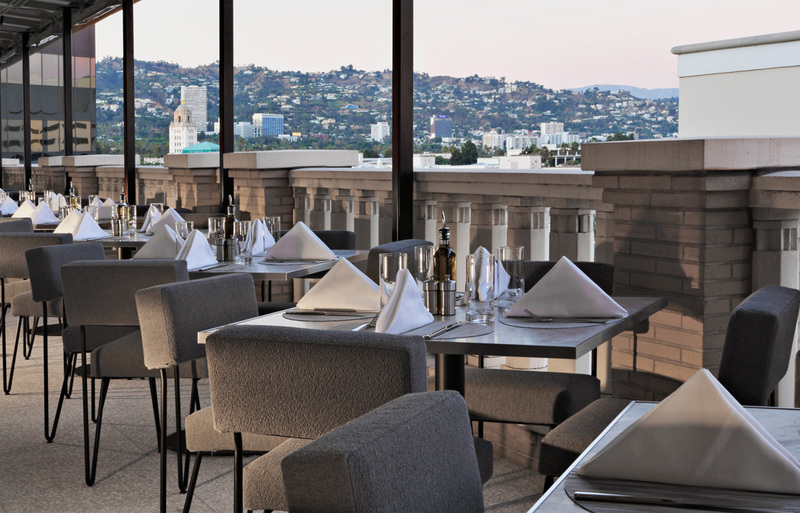 Gruen Associates provided Architect of Record services for the remodel and expansion of the existing 5th floor FREDS Restaurant and Kitchen at Barneys New York in Beverly Hills. 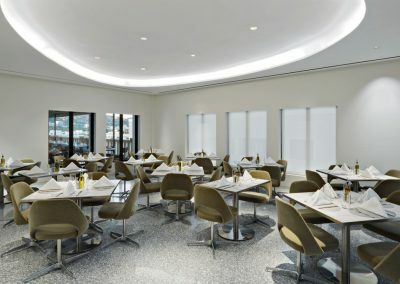 The restaurant renovation project included new stone flooring, floating ceiling panels, plush banquette seating, new lighting and fixtures, and artwork throughout the dining areas. 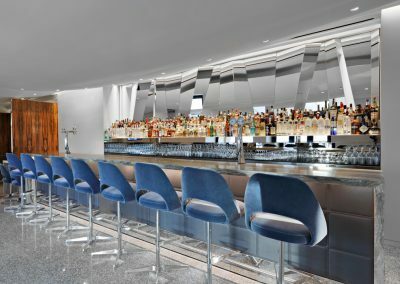 Two new wait stations added new expresso machines, coffee and tea brewers, beverage counter, ice and water unit and point-of-sale counter to support the restaurant. 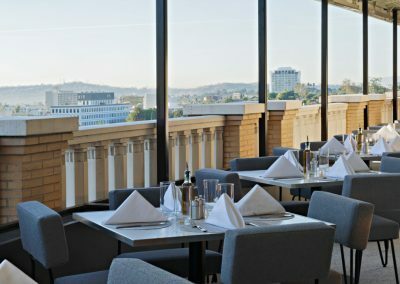 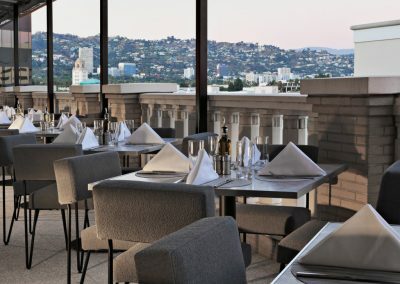 In addition, two exterior terrace dining areas were remodeled to include new terrazzo flooring, light fixtures, planters with greenscreens, heaters and canopies, which frame the expansive views to the Hollywood Hills. 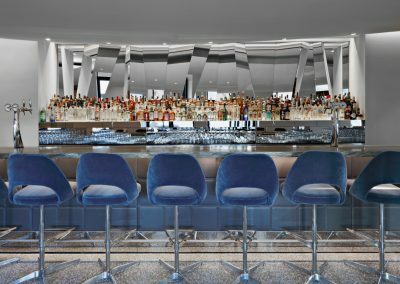 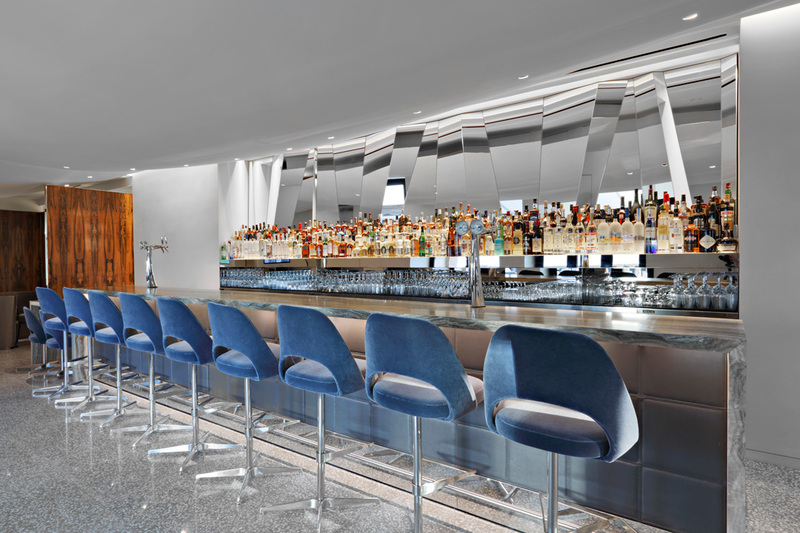 A new marble bar with a mirror artwall and liquor steps anchors the dining area and leads to the 30’ high lounge with built-in seating and tables. The existing kitchen was completely gutted and the square footage was increased by almost 50 percent. 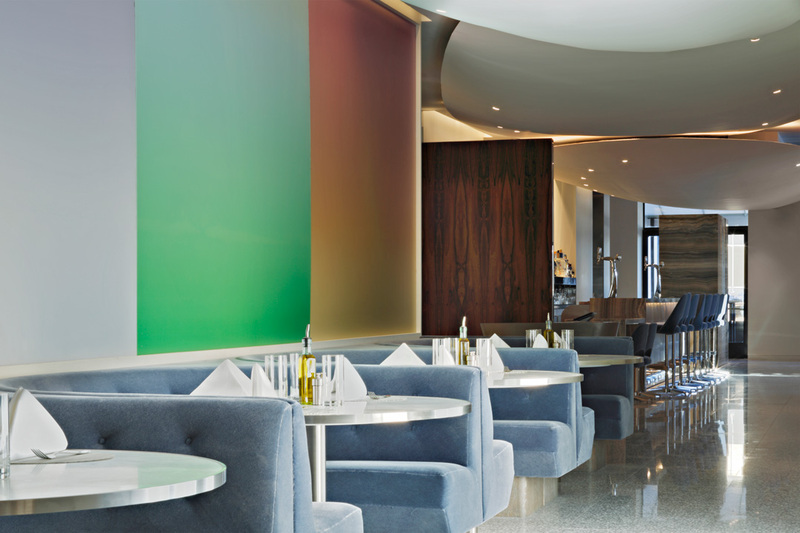 * Gruen Associates is the Executive Architect in association with the Design Architect.